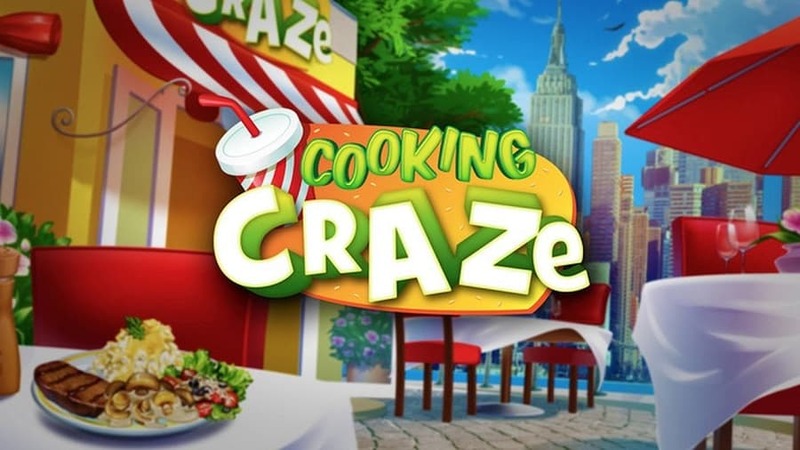 Cooking Craze for PC is a highly addictive cooking game that allows you to rise to global restaurant fame by mastering time management skills. This game is a casual game developed by BigFish Games for android, IOS, amazon and there is also a playable version for PC. Get to prepare multiple recipes in a fast paced environment that tests your time management skills. 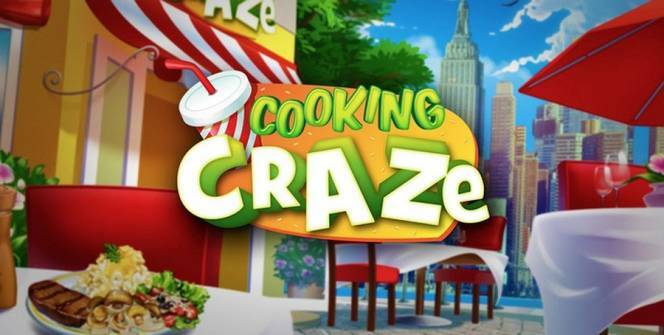 Cooking Craze for PC is a tremendously varied game with unlock-able recipes, towns and locations and wide array of customers to impress. 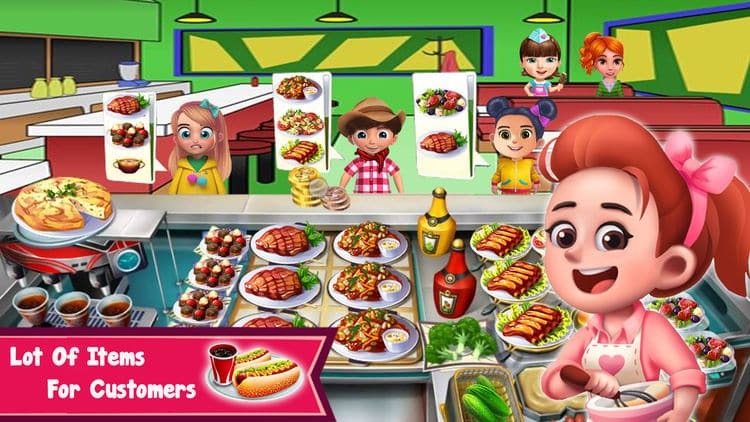 While there are other simulation cooking games in the market, Cooking Craze is set apart by its fluid user interface and unique game-play characteristics. Your success in the game will depend primarily on how fast you can cook, prepare and serve meals. The graphics are clean and lightweight which means you can operate multiple actions on the go and that the game wont take too long while loading. Rack up customer satisfaction and receive golden reviews on Cooking Craze for PC. Golden reviews come with the additional reward of unlocking new locations to cook in. New locations means unique cuisines from those cities and customers with exotic appetites will be having a look-in. The game does allow for quick in game downloads. Cooking Game is relatively light on data and you do not require WiFi to download it. You can also play the game offline which means you can play it anywhere anytime. Cooking Craze for PC offers in game features like the ability to learn new cooking skills on top of baking, chopping and grilling. You will build you empire up from the bottom. Start by mastering recipes and building your expertise as you go along. Expect the difficulty levels to go up as your ingredients, staff and customer list expands. There are over 400 levels to complete bundled together in groups and to advance through each level, you must complete a certain level of tasks. Each progress unlocks new objectives with stricter time lines that will require the upgrading of kitchen tools. The steady increase in difficulty means that game-play is kept fresh. This also means that the game wont feel stagnant for too long. There are also extra levels that allow you to earn extra valuable extra coins. The game also offers in-app purchases for items such as spoons, non stick pans, saucepans and much more that you can use to equip your chefs and other kitchen staff. However, Cooking Craze for PC is a great balance by keeping pop up ads to a minimum. Enhance your time management skills with the easy tapping mechanic. New cooking locations are always being added to the database as well. Cooking Craze for PC will also offer you interesting cooking quests and challenges that can earn you important boosts. You can earn tips just like in a real restaurant. Cook perfect meals, complete perfect combos and get big tips to complete these challenges and quests. Sometimes when playing Cooking Craze, bluestacks ask you fee to pay but gives you option to download some apps. Every time it asks you just select “Install apps” and continue using it free. I hope you enjoyed this article, please rate and share. If you have problems running Cooking Craze on your desktop or any other issues, leave a comment below.